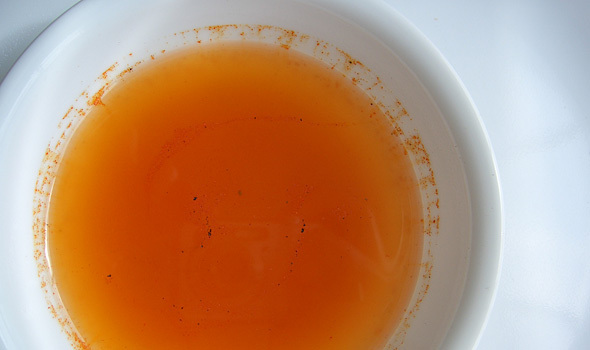 Put seasonings and sugar in a small basin, add vinegar and oil, mix well. This dressing can be made in advance but should not be used until the last minute before serving the salad. As oil and vinegar naturally separate mix again immediately before using. If not to be used at once, keep in screw-topped jar and shake before using.